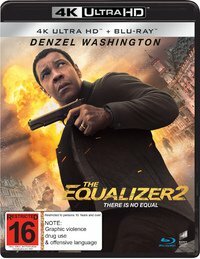 The Equalizer2 lands here on 4K-UHD and Blu-ray three weeks ahead of the US and UK. It includes a behind-the-scenes Retribution Mode, pop-up trivia track, 11 deleted/extended scenes and five making-of shorts. 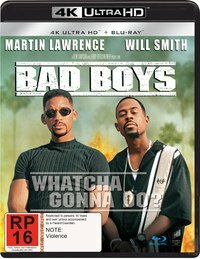 There’s more good news for those building a 4K-UHD library: the first back catalogue titles to retail for $20 go on sale today: Hook, Bad Boys and Bad Boys II. 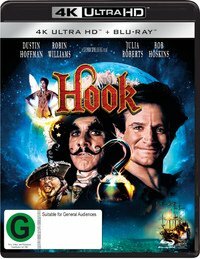 Said Home Theater Forum of Hook: “Sony’s new 4K-UHD release is a real eye-opener, perhaps the best the film has ever looked, even during its 70mm theatrical engagements in 1991. “Per the press release, Steven Spielberg approved the use of HDR10 high dynamic range on this release, resulting in a more refined use of colours that appear somewhat muted compared to the Blu-ray release, but also more natural. “Film grain is much more evident on this release, but is never intrusive. Contrast is also more under control, providing much more depth to the imagery and deeper blacks. And being re-issued on Blu-ray this week are The Replacement Killers, Light Sleeper, The People Under the Stairs, Doomsday (2008) and This Island Earth.